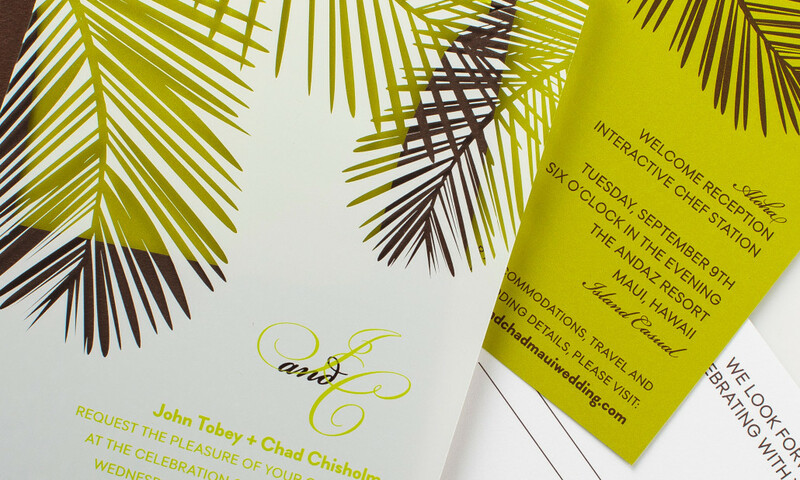 This acrylic invitation is printed with green and white ink with a canopy of palm fronds and custom monogram. Set shown with a chocolate brown envelope with coordinating lime green liner. 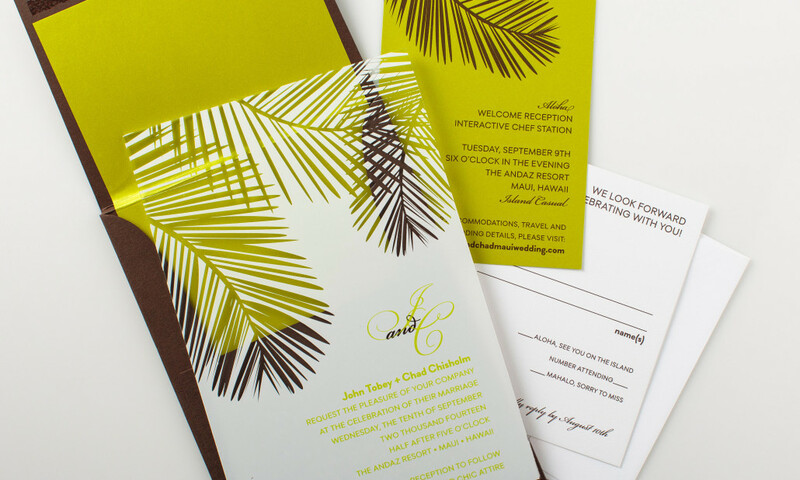 Perfect for a tropical destination wedding or change the graphic background to suite your wedding style.